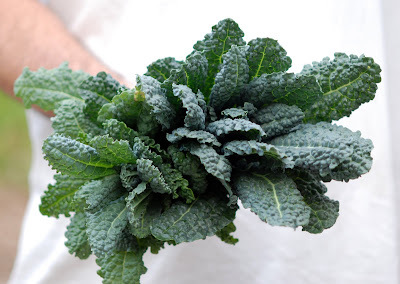 Kale is featured in many types of ethnic cooking including Italian, West African, Portuguese and Spanish. 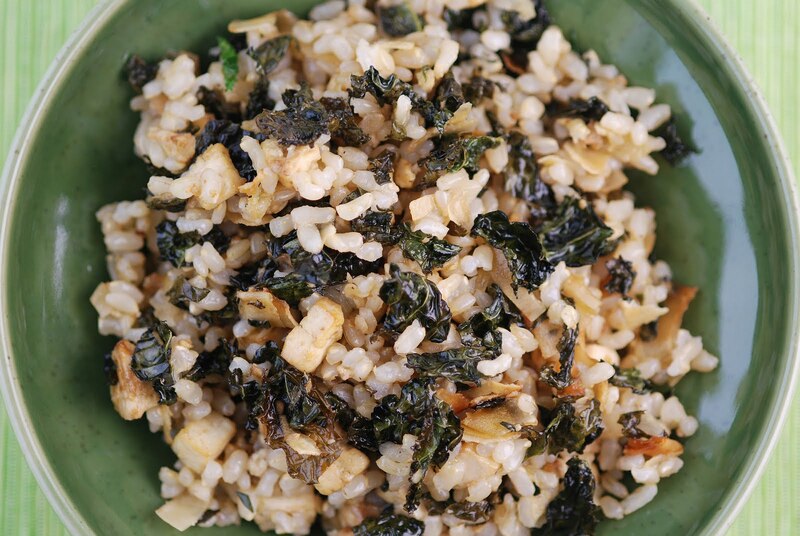 Here, we use kale in an amazing dish created by Heidi Swanson that is influenced by Asian flavors. 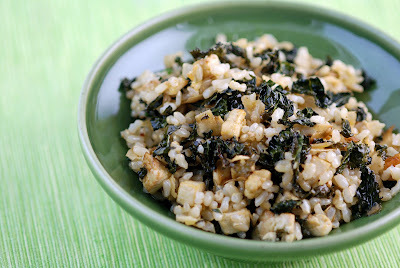 The recipe features crispy kale on a bed of brown rice and tofu. No one will miss eating meat when this amazing vegan dish is served. Preheat oven to 350° and place shelves in upper and lower thirds of oven. Combine rice with 2 cups water and a pinch of salt and bring to a boil. Cover and reduce to a simmer for 35 minutes, or until rice is tender. Whisk together olive oil, sesame oil and soy sauce. Reserve 1/3 of the dressing, then combine remaining with kale, coconut and tofu. Toss well, then spread in a single layer on 2 sheet pans. Bake until crispy, about 25 minutes, stirring occasionally to cook evenly on all sides. Remove from oven and toss mixture with remaining dressing and the cooked rice. Season with salt and serve warm. ooo, looks delicious! 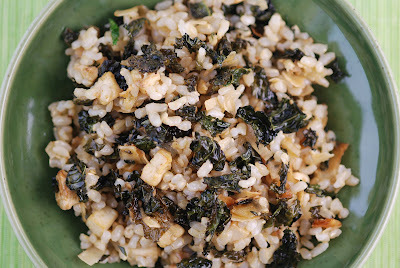 i absolutely need to try baking or frying some kale - everyone keeps raving about it!